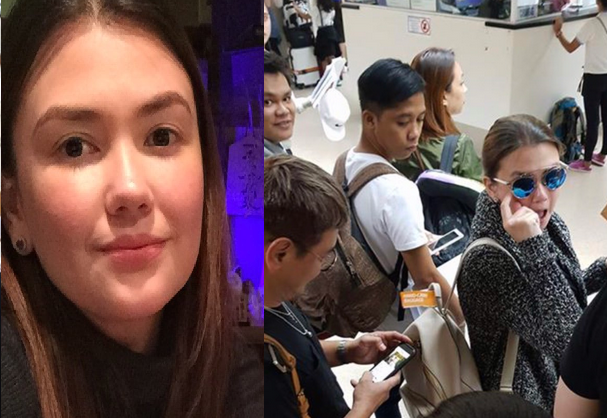 A certain netizen named JC Valenzuela couldn't help but express his dismay over actress Angelica Panganiban, and hairstylists Jing Monis and Juan Sarte for allegedly cutting the immigration line. 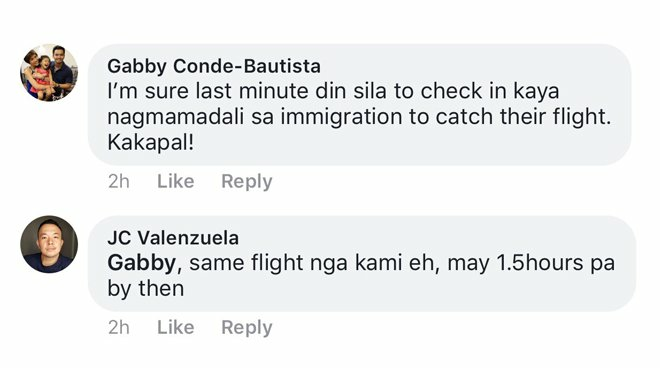 JC, who was their fellow passenger, posted a photo of them on facebook and said: "You know why the Philippines is poor? 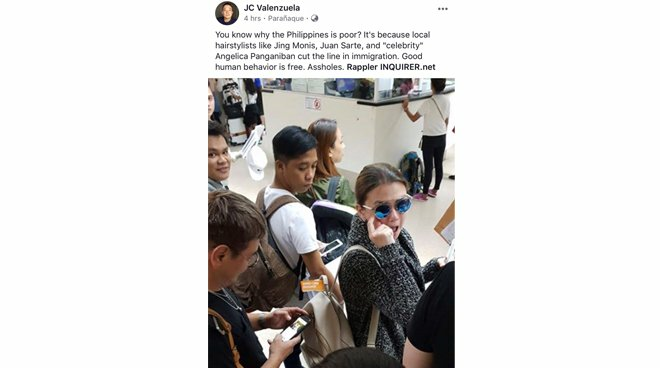 It's because local hairstylists like Jing Monis, Juan Sarte and "celebrity" Angelica Panganiban cut the line in immigration. Good human behavior is free. Assholes (sic)." JC also explained why he took the photo. "I called them out. Then took a pic bec they wouldn't leave. 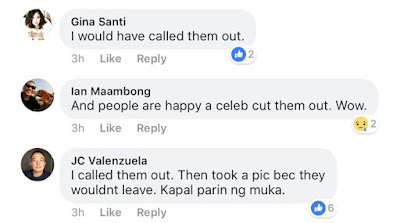 Kapal parin ng muka" he wrote. According to him, they still had few hours before the flight by then.